Typesetting / engraving music to a high standard in a range of notation softwares, for publication or for performance. Whether you have a previously hand-written score that needs inputting into a notation software (such as Dorico, Sibelius, or MuseScore), or a file that needs finishing to publishing quality - I can assist you. With several years of experience using programmes like Dorico and Sibelius, and a familiarity with the shortcuts that make the work easier, a score can be turned very quickly into something even more informative and comprehensible. A polished musical score is a thing of great beauty, and I take great pride in ensuring it is the best it can be - such as making custom lines to match a particular feature in a hand-written score. The difference clean, well-spaced scores and parts can make to a rehearsal or recording session is vast. I can provide not only a fast turnaround, but you can be also confident that details such as suitable page turns, and ensuring parts are in the correct clef (and transposed if need be) will be taken care of. Increasingly, I'm tempted to recommend engraving in Dorico over Sibelius, not just because my role in the development team gives me additional insight into its functionality, but because the default look of the software is so beautiful and pleasing to look at. I've added examples of work I have done in Dorico in the gallery below, including Christmas carols arranged for piano that I have not touched: that is how music looks in Dorico by default. Dorico's excellent MusicXML import also means it's fantastic for tidying up scores done in much older versions of other softwares, and its flow system means works containing multiple movements are really easy to organise. The way Dorico automatically handles voices meant all I needed to do was input the correct notes in the correct voices. The noteheads and note spacing are really clear to read, even if you’re a nervous performer like me! I wanted to recreate that sudden heaviness in the final chorus in this arrangement for a friend’s wedding, and the functionality of repeat endings in Dorico ensured clarity when doing so. 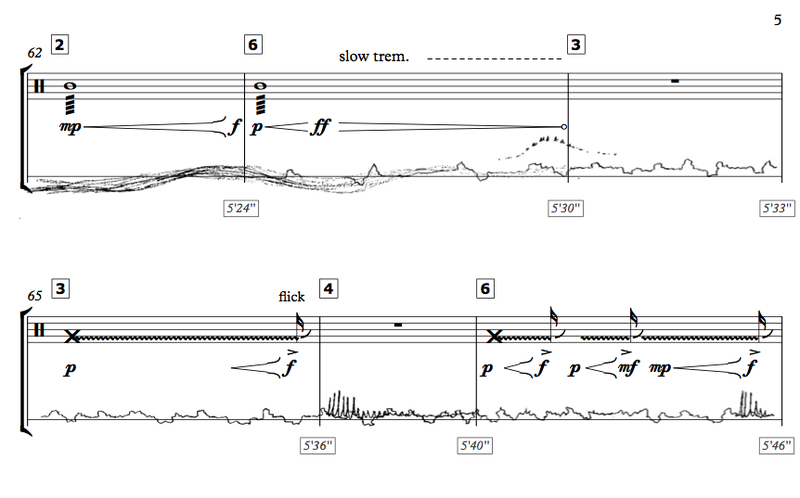 An extract of my recent work for large ensemble, written for the LPO Young Composer’s Programme, demonstrating Dorico’s rendering of triplets and large time signatures.